Need high-quality and pocket-friendly Underpinning Services in Kilsyth South? Complete Underpinning Kilsyth South is the answer! Kilsyth South relies on us when it comes to underpinning and other related issues. To have complete peace of mind it is important to know that your home/office building is safe to stay in. And when you start seeing cracks, misaligned windows, sinking floors, or other such issues you start feeling scared. It is scary to imagine that the foundation of your building is not stable and could cause fatal damage. But worry no more. We are here to serve you with the finest collection of underpinning solutions at highly affordable prices in Kilsyth South. Complete Underpinning is the place you need to be to get answers for all your underpinning problems. Complete Underpinning Kilsyth South provide professional Reblocking, Restumping, Slab Jacking and Soil Stabilisation services. Get a free quote! The works of Complete Underpinning Kilsyth South do not stop at restumping and underpinning, we also undertake general contracting projects. We deliver excellent repairs and renovations for homes and offices all across Kilsyth South. Moreover, you can get in touch with us for deck renovation, deck construction, verandah construction, and verandah renovation. We also undertake complete home renovations at a very reasonable price. So if you wish to give a new look to your home or do a little renovations in a newly bought home then we are at your beck and call. Simply call us and get an unbeatable quote for your required service! Are cracking of external brickwork or uneven flooring bothering you? Are the doors or windows installed in your home troubling you, like are they getting jammed or sticky? Well, there might be some issues with the foundation of your home. So, stop bothering yourself and give a call to a reputable underpinning service provider. When you are in Kilsyth South, there is only one name that homeowners trust upon and it’s Complete Underpinning. We are into this business for more than 20 years and offer impeccable underpinning services all throughout Kilsyth South. Apart from our high quality and affordable services, we are registered and members with the HIA (Housing Industry Association). All our contractors are insured and well trained to offer underpinning services with the highest level of precision. Each and every employee at Complete Underpinning is selected after passing a rigorous set of criteria to ensure maximum productivity. Our contractors have the expertise to work on different types of projects associated with underpinning, thus ensuring a strong foundation for the buildings, both residential and commercial. Needless to mention, but without a strong and durable foundation, a building is always at a risk of getting devastated at any point of time. We at Complete Underpinning understand this and that’s why we have come up with cost-effective solutions to such issues. If you need us, give us a call right away! Underpinning is a technical term basically used to describe the process of foundation strengthening, in regard to a renovation or a construction project. It can be accomplished by widening the foundation of a building, be it commercial or residential, breadth-wise or depth-wise. This way the construction either gets to stand on a more supportive or accommodation layer of soil or distributes its weight across larger surface areas. At Complete Underpinning, we use some of the best and time-tested methods for making underpinning projects successful and your home problem proof. Some of the common methods used for underpinning are – jet grouting and using micro piles, board piers, and screw piles services. First of all, we dig out holes under the foundation and put concrete to them to make the existing foundation strong. Our underpinning services ensure stability to your building. Do you need Underpinning services in Kilsyth South? Misaligned windows and doors, etc. If you get to see the signs mentioned in the above pointers, you should not make delays to call us at 1800449365. We at Complete Underpinning has the finest engineers across the Kilsyth South, our engineers visit the site on the same day and create a report of house foundation. The process involves in checking the smallest loopholes and structural integrity of the building. We tend to focus that we get the genuine report, as per the inspection our engineers made the stats of everything which is holding the property. With that we develop the plan to fix everything, all this we do on the same day of the inspection. So, call us and schedule the fastest and genuine inspection report of your house. 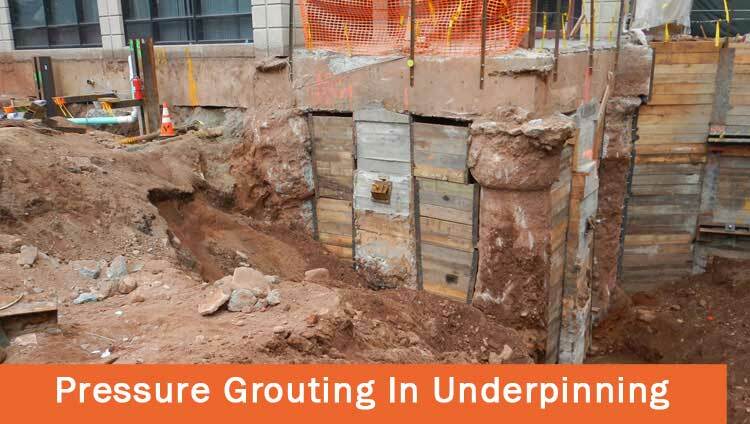 How we perform underpinning at Complete Underpinning Kilsyth South? A complete and meticulous investigation of the extent of damage helps our contractors to help you with close estimation of the expenses related. Once you have approved the estimate (in the form of free quotation), we employ our structural engineers to get started with the project. Apart from high-quality underpinning services, we are also experts in offering repairing services. Feel free to give us a call! Salt, as well as moisture, are two of the major foes of a building. In fact, they can be catastrophic to the health of a construction. Some of the common signs that indicate salt damp issues are – weakening of mortar, bouncy paints, delamination of plaster, etc. Sometimes, serious bad odor also accompanies the same. Our underpinning contractors with their skills and state-of-the-art tools help you get rid of such issues and lead a happy life. All the contractors working for Complete Underpinning are efficient and experienced. In projects were salt damp removal is not possible using tools and techniques, they carry it out manually. Once the problem areas are removed, our professionals install damp course (polyethene) under the building and construct a new wall on that polyethene lining, ensuring sturdiness and durability to the foundation of your home. If you need our services, get in touch with us! As already told, we have been a part of this industry and serving our customers for more than 20 years and experience matters a lot. Each and every contractor working with us is hard working, highly skilled and committed to work. We not only focus on offering high quality and affordable services but also following regulations related to health and safety. Why Choose Complete Underpinning Kilsyth South? Issues with the foundation of a building can arise due to a number of causes, such as weak and poor construction, protruding tree roots, weather conditions, issues with plumbing and so on. Therefore, as soon as you notice the signs of damage, give us a call, as soon as possible. Being a family owned and local service provider, at Complete Underpinning we make sure that our customers get the best possible services. It’s our seamless customer support, professionalism, and punctuality that has made us earn so many happy and satisfied customers. Also, our24 X 7 emergency and affordable services, availability on the weekends, 100% satisfaction guarantee, all at affordable prices has made us what we are today.